Jeffery Deaver. The Coffin Dancer. From The Hunt For Red October to The Da Vinci Code, from	The Da Vinci Code to Bear Island, we can help you find the thrillers books you are looking for. As the world's largest independent marketplace for new, used and rare books, you always get the best in service and value when you buy from Biblio.com, and all of your purchases are backed by our return guarantee. Published in 1984, The Hunt for Red October follows a Soviet submarine captain who defies orders and charts a course for the United States. Unclear of his motives and fearing a nuclear launch, the protagonist Jack Ryan attempts to track the nearly untraceable vessel as it nears the east coast. The basis for a blockbuster hollywood film of the same title, The Hunt for the Red October catapulted Tom Clancy from insurance salesman to one of the most popular writers of his generation. After being rejected by several mainstream publishers, Clancy submitted the book to the Naval Institute Press and was reportedly surprised at it's acceptance. The publisher, which had never published a work of fiction before printed only 5000 copies in the first run, making the first printing rather scarce. Jurassic Park is a 1990 science fiction novel written by Michael Crichton. Often considered a cautionary tale on unconsidered biological tinkering in the same spirit as Mary Shelley's Frankenstein, it uses the mathematical concept of chaos theory and its philosophical implications to explain the collapse of an amusement park showcasing certain genetically recreated species. The Girl Who Played with Fire is the second novel in the million-selling Millennium Trilogy by Swedish writer Stieg Larsson. It was published posthumously in Swedish in 2006 and in English in January 2009. The book features many of the characters that appeared in The Girl with the Dragon Tattoo, among them Lisbeth Salander, the "Girl" of the title and a social misfit hacker, and Mikael Blomkvist, a investigative journalist and publisher of Millennium magazine. In the middle of the night, a controversial U.S. senator is found murdered in bed in his Georgetown pied-a-terre. The police turn up only one clue: a mysterious rhyme signed "Jack and Jill" promising that this is just the beginning. Jack and Jill are out to get the rich and famous, and they will stop at nothing until their fiendish plan is carried out.Meanwhile, Washington, D. C., homicide detective Alex Cross is called to a murder scene only blocks from his house, far from the corridors of power where he spends his days. The victim: a beautiful little girl, savagely beaten--and desposited in front of the elementary school Cross's son, Damon, attends.Could there be a connection between the two murders? As Cross tries to put the pieces together, the killer- or killers - strike again. And again. No one in Washington is safe - not children, not politicians, not even the President of the United States. Only Alex Cross has the skills and the courage to crack the case-but will he discover the truth in time?A relentless roller coaster of heart-pounding suspense and jolting plot twists, Jack and Jill proves that no one can write a more compelling thriller than James Patterson-the master of the nonstop nightmare. Angels &amp; Demons is a 2000 bestselling mystery-thriller novel written by American author Dan Brown and published by Pocket Books. It revolves around the quest of fictional Harvard University symbologist Robert Langdon to uncover the mysteries of a secret society called the Illuminati and to unravel a plot to annihilate Vatican City using destructive antimatter. Interview with the Vampire is a vampire novel by Anne Rice written in 1973 and published in 1976. The novel, the first to feature the enigmatic vampire Lestat, was followed by several sequels, collectively known as The Vampire Chronicles. A film version, Interview with the Vampire: The Vampire Chronicles, was released in 1994 starring Brad Pitt, Kirsten Dunst, Antonio Banderas, Christian Slater and Tom Cruise. To date, the novel has sold some 8 million copies worldwide. Jack Reacher. Hero. Loner. Soldier. Soldier's son. An elite military cop, he was one of the army's brightest stars. But in every cop's life there is a turning point. One case. One messy, tangled case that can shatter a career. Turn a lawman into a renegade. And make him question words like honor, valor, and duty. For Jack Reacher, this is that case.New Year's Day, 1990. The Berlin Wall is coming down. The world is changing. And in a North Carolina "hot-sheets" motel, a two-star general is found dead. His briefcase is missing. Nobody knows what was in it. Within minutes Jack Reacher has his orders: Control the situation. But this situation can't be controlled. Within hours the general's wife is murdered hundreds of miles away. Then the dominoes really start to fall.Two Special Forces soldiers--the toughest of the tough--are taken down, one at a time. Top military commanders are moved from place to place in a bizarre game of chess. And somewhere inside the vast worldwide fortress that is the U.S. Army, Jack Reacher--an ordinarily untouchable investigator for the 110th Special Unit--is being set up as a fall guy with the worst enemies a man can have.But Reacher won't quit. He's fighting a new kind of war. And he's taking a young female lieutenant with him on a deadly hunt that leads them from the ragged edges of a rural army post to the winding streets of Paris to a confrontation with an enemy he didn't know he had. With his French-born mother dying--and divulging to her son one last, stunning secret--Reacher is forced to question everything he once believed...about his family, his career, his loyalties--and himself. Because this soldier's son is on his way into the darkness, where he finds a tangled drama of desperate desires and violent death--and a conspiracy more chilling, ingenious, and treacherous than anyone could have guessed.From the Hardcover edition. No Country for Old Men is a 2005 novel by American author Cormac McCarthy. Set along the United States–Mexico border in 1980, the story concerns an illicit drug deal gone wrong in a remote desert location. The title comes from the poem "Sailing to Byzantium" by William Butler Yeats. The book was adapted into the 2007 film No Country for Old Men, which won four Academy Awards, including Best Picture. Robert Ludlum was the author of twenty-one novels, each a New York Times bestseller. There are more than 210 million of his books in print, and they have been translated into thirty-two languages. In addition to the Jason Bourne series— The Bourne Identity, The Bourne Supremacy, and The Bourne Ultimatum —he was the author of The Scarlatti Inheritance, The Chancellor Manuscript, and The Apocalypse Watch, among many others. Mr. Ludlum passed away in March, 2001. Four women-four friends-share a determination to stop a killer who has been stalking newlyweds in San Francisco. Each one holds a piece of the puzzle: Lindsay Boxer is a homicide inspector in the San Francisco Police Department, Claire Washburn is a medical examiner, Jill Bernhardt is an assistant D.A., and Cindy Thomas just started working the crime desk of the San Francisco Chronicle.But the usual procedures aren't bringing them any closer to stopping the killings. So these women form a Women's Murder Club to collaborate outside the box and pursue the case by sidestepping their bosses and giving one another a hand.The four women develop intense bonds as they pursue a killer whose crimes have stunned an entire city. Working together, they track down the most terrifying and unexpected killer they have ever encountered-before a shocking conclusion in which everything they knew turns out to be devastatingly wrong. Along Came A Spider is the first novel in a series of books written by James Patterson, about forensic psychologist Alex Cross. It was adapted into a movie of the same name in 2001, starring Morgan Freeman as Cross. Detective Alex Cross is on his way to resign from the Washington, D.C., Police Force when his partner shows up at his door with a case he can't refuse. One of John Sampson's oldest friends, from their days together in Vietnam, has been arrested for murder. Worse yet, he is subject to the iron hand of the United States Army. The evidence against him is strong enough to send him to the gas chamber.Sampson is certain his friend has been framed, and Alex's investigation turns up evidence overlooked-or concealed-by the military authorities. Drawing on their years of street training and an almost telepathic mutual trust, Cross and Sampson go deep behind military lines to confront the most terrifying-and deadly-killers they have ever encountered. Behind these three highly skilled killing machines there appears to be an even more threatening controller. Discovering the identity of this lethal genius will prove to be Cross's most terrifying challenge ever.On his visits home, Alex must confront another, more harrowing mystery: what's the matter with Nana Mama? As he explores the possibility of a new relationship with a woman who offers him new hope, Alex must also confront the fact that his beloved grandmother is only human. In this heart-pounding but touchingly romantic thriller, Detective Alex Cross pursues the most complex and brilliant killer he's ever confronted - mysterious criminal who calls himself the Mastermind.In a series of crimes that has stunned Washington, D.C., bank robbers have been laying out precise demands when they enter the building - and then killing the bank employees and their families if those instructions are not followed to the letter.Detective Alex Cross takes on the case, certain that this is no ordinary bank robber at work - the pathological need for control and perfection is too great. Cross is in the midst of a personal crisis at home, but the case becomes all-consuming as he learns that the Mastermind is plotting one huge, last, perfect crime. The Maltese Falcon, author Dashiell Hammett’s third novel, set the standard by which all subsequent detective fiction would be judged. Set in San Francisco in the late 1920s, the novel introduces us to private detective Sam Spade, who characterizes the archetype of the hard-boiled detective in his dead-pan pursuit of the recovery of a black figurine. Having worked for a time for the Pinkerton Detective Agency in San Francisco, Hammett reportedly drew upon his years as a detective in creating Spade and many of the other characters for The Maltese Falcon. The Maltese Falcon was originally serialized in HL Mencken’s “pulp” magazine, Black Mask, beginning with the September 1929 issue. For publication of the book form, editor Blanche Knopf tried to tone down the overt sexuality of the magazine version, fearing the references would alienate readers, but Hammett prevailed. However, the 1941 film adaptation starring Humphrey Bogart and Mary Astor (the best known of the novel’s three film versions) excised the homosexual subtext of the novel due to Production Code restraints. Today, the movie is considered a film noir classic and the novel is ranked 56th on Modern Library’s “100 Best” English-language novels of the 20th century as well as 54th on The Guardian’s list of the 100 best novels. Bad Luck and Trouble is the eleventh book in the Jack Reacher series written by Lee Child. The Bourne Ultimatum is the third Jason Bourne novel written by Robert Ludlum and a sequel to The Bourne Supremacy (1986). 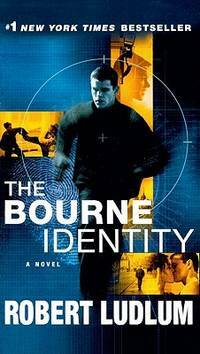 First published in 1990, it was the last Bourne novel to be written by Ludlum himself. Eric Van Lustbader wrote a sequel titled The Bourne Legacy fourteen years later. A film titled The Bourne Ultimatum starring Matt Damon was released in 2007. As in the 2004 film, The Bourne Supremacy, The Bourne Ultimatum has a completely different plot from the novel. London Bridges is the tenth book by James Patterson featuring the former Washington DC homicide detective and forensic psychiatrist and current FBI agent Alex Cross. Atlantis Found is a 1999 novel by Clive Cussler, part of the Dirk Pitt series. The Sum of All Fears is the best-selling thriller novel by Tom Clancy, and part of the Jack Ryan series. It was the fourth book of the series to be turned into a film. An interesting note is that this book was released just days before the Moscow uprising in 1991, which finally signaled the dissolution of the Soviet Union. Russian politics in the aftermath of the destruction of the Berlin Wall is a main element of the book. E-book extras: Exclusive Crichton interview. Also: "As Explained by M.C. ": Highlights from Michael Crichton's 30-plus years of making complex concepts understandable and entertaining. Plus: "The Crichton Canon," an introduction to his 12 prior novels and 4 works of nonfiction.In the Nevada desert, an experiment has gone horribly wrong. A cloud of nanoparticles -- micro-robots -- has escaped from the laboratory. This cloud is self-sustaining and self-reproducing. It is intelligent and learns from experience. For all practical purposes, it is alive. It has been programmed as a predator. It is evolving swiftly, becoming more deadly with each passing hour. Every attempt to destroy it has failed. And we are the prey.As fresh as today's headlines, Michael Crichton's most compelling novel yet tells the story of a mechanical plague and the desperate efforts of a handful of scientists to stop it. Drawing on up-to-the-minute scientific fact, Prey takes us into the emerging realms of nanotechnology and artificial distributed intelligence -- in a story of breathtaking suspense. Prey is a novel you can't put down. Because time is running out. Read this history-making serial novel -- from cliffhanger to cliffhanger -- in its entirety. When it first appeared, one volume per month, Stephen King's The Green Mile was an unprecedented publishing triumph: all six volumes ended up on the New York Times bestseller list -- simultaneously -- and delighted millions of fans the world over. Welcome to Cold Mountain Penitentiary, home to the Depression-worn men of E Block. Convicted killers all, each awaits his turn to walk the Green Mile, keeping a date with "Old Sparky," Cold Mountain's electric chair. Prison guard Paul Edgecombe has seen his share of oddities in his years working the Mile. But he's never seen anyone like John Coffey, a man with the body of a giant and the mind of a child, condemned for a crime terrifying in its violence and shocking in its depravity. In this place of ultimate retribution, Edgecombe is about to discover the terrible, wondrous truth about Coffey, a truth that will challenge his most cherished beliefs...and yours. Without Remorse is a thriller novel published in 1993 by Tom Clancy and is a part of the "Ryanverse" series. While not the first novel of the series to be published, it is first in plot chronology. The main setting of the book is set during the Vietnam War, in the American city of Baltimore. The book focuses on the development of one of Clancy's recurring characters, John Kelly/John Clark, while providing the character some back-story. The Pelican Brief is a legal-suspense thriller written by John Grisham in 1992. 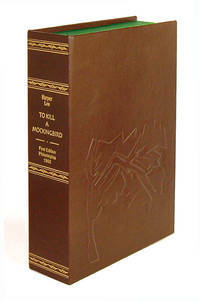 The hardcover edition was published by Doubleday in that same year. 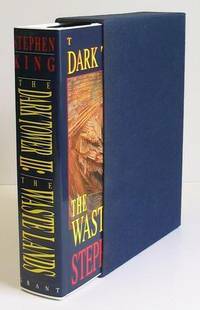 Two paperback editions were published, both by Dell Publishing in 1993. Patriot Games is a novel by Tom Clancy. It is chronologically the first book (predating the events in The Hunt for Red October) focusing on CIA analyst Jack Ryan, the main character in almost all of Clancy's novels. It is the indirect sequel to Without Remorse. The title comes from an Irish Rebel Song called The Patriot Game, an Irish ballad about the Border Campaign in Northern Ireland. See the difference, read #1 bestselling author Michael Crichton in Large Print About Large PrintAll Random House Large Print editions are published in a 16-point typefaceThree passengers are dead. Fifty-six are injured. The interior cabin virtually destroyed. But the pilot manages to land the plane. . . .At a moment when the issue of safety and death in the skies is paramount in the public mind, a lethal midair disaster aboard a commercial twin-jet airliner bound from Hong Kong to Denver triggers a pressured and frantic investigation.Airframe is nonstop reading: the extraordinary mixture of super suspense and authentic information on a subject of compelling interest that has been a Crichton landmark since The Andromeda Strain.From the Trade Paperback edition. The Cardinal of the Kremlin is a novel by Tom Clancy, featuring his character Jack Ryan. It is a sequel to The Hunt for Red October, based around the development of the Strategic Defense Initiative and its Soviet equivalent, covering themes including intelligence gathering and counterintelligence, political intrigue, and guerrilla warfare in Afghanistan. Red Rabbit (2002) is a New York Times bestselling novel by Tom Clancy. It revolves around the 1981 plot to assassinate Pope John Paul II. Clear and Present Danger is a novel by Tom Clancy, written in 1989, and is a canonical part of the Ryanverse. In the novel, Jack Ryan is thrown into the position of CIA Acting Deputy Director (Intelligence) and discovers that he is being kept in the dark by his colleagues who are conducting a covert war against the Medellín Cartel based in Colombia. The title of the book is based on the legal phrase "clear and present danger". Is a loved one missing some body parts? Are blondes becoming extinct? Is everyone at your dinner table of the same species? Humans and chimpanzees differ in only 400 genes; is that why a chimp fetus resembles a human being? And should that worry us? There's a new genetic cure for drug addiction—is it worse than the disease? We live in a time of momentous scientific leaps, a time when it's possible to sell our eggs and sperm online for thousands of dollars and to test our spouses for genetic maladies. We live in a time when one fifth of all our genes are owned by someone else, and an unsuspecting person and his family can be pursued cross-country because they happen to have certain valuable genes within their chromosomes. Devilishly clever, *Next* blends fact and fiction into a breathless tale of a new world where nothing is what it seems and a set of new possibilities can open at every turn. *Next* challenges our sense of reality and notions of morality. Balancing the comic and the bizarre with the genuinely frightening and disturbing, *Next* shatters our assumptions and reveals shocking new choices where we least expect. The future is closer than you think. Thomas Harris began his writing career covering crime in the United States and Mexico, and was a reporter and editor for the Associated Press in New York City. His first novel, Black Sunday , was published in 1975, followed by Red Dragon in 1981, The Silence of the Lambs in 1988, and Hannibal in 1999. A Perfect Spy (1986) by John le Carré, is a novel about the mental and moral dissolution of a secret agent. A second family has been massacred by the terrifying serial killer the press has christened “The Tooth Fairy.” Special Agent Jack Crawford turns to the one man who can help restart a failed investigation—Will Graham. Graham is the greatest profiler the FBI ever had, but the physical and mental scars of capturing Hannibal Lecter have caused Graham to go into early retirement. Now, Graham must turn to Lecter for help.